My name is Christine. I’m getting married in 7 6 5 4 3 weeks. And I have a lot of work to do. Join me on my journey as I slim down for the big day. 1,001 cranes – the crane is a symbol of longevity and prosperity in Japanese culture. For the bride and her family, it is a long-standing custom to fold 1,001 origami cranes to bring good luck, good fortune, longevity, fidelity, and peace to the marriage. 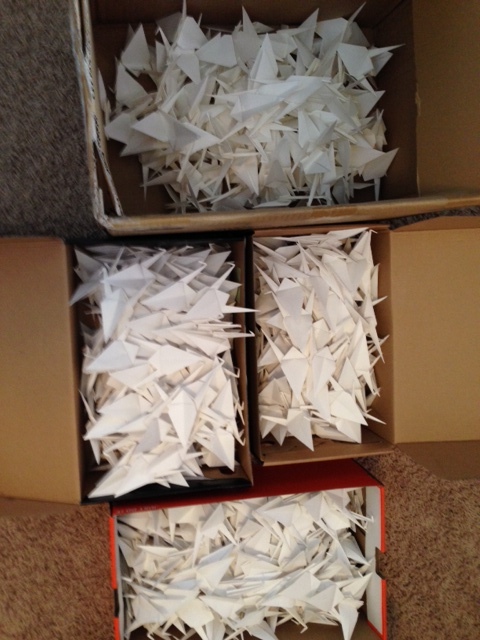 Jon insisted that I do this Japanese tradition, so here I am folding 20-30 cranes each night, which is 1-2 hours. Everyone asks, “Why not have Jon make some?” Believe me, if I could I would, but tradition is that the bride must make them all on her own. I’m at almost 700, so I have a bit to go but I know I’ll finish! As I fold my origami paper each day, I think about how my 1,001 cranes share some similarities with transforming your body, whether it be for weight loss, muscle tone, etc. If I stay consistent at my 20 cranes per day, I’ll eventually reach 1,001. Similarly, if I stay consistent with my workouts and nutrition goals, I’ll eventually get to my goal weight. If I slack on either, I have more to do the next day, and it just keeps piling on. With this in mind, I’d like to share that I had somewhat of a breakthrough this week–I focused on my daily habits and didn’t take any steps backward. Guess what?? I’m already at my weight loss goal for this week and it’s only Tuesday! I can’t wait to weigh in with Jen on Thursday to show her my results; normally when I fudge a little I have nightmares the night before that I didn’t lose any weight, so this is a huge accomplishment for me. Not only did I continue moving forward, but I did it over a very hard weekend! 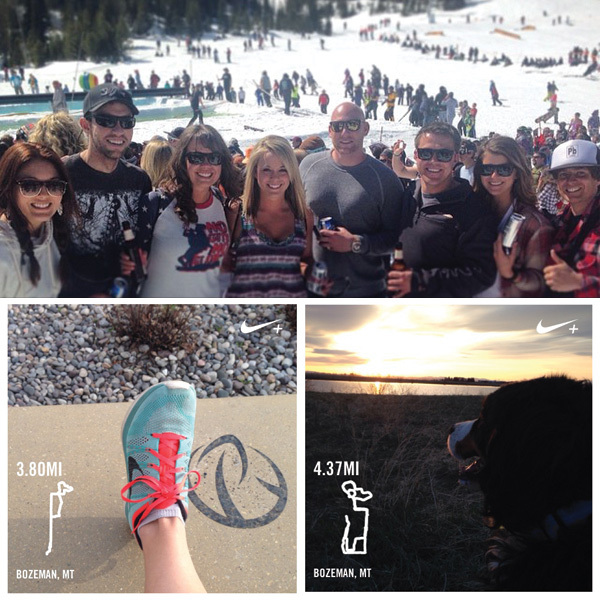 Ever been to Pond Skim during closing weekend at Big Sky? If you haven’t I’d compare it to a snowy Spring Break. Everyone is drinking, and we were surrounded by bar food and breakfast buffets. We stayed up there Friday through Sunday so I had none of my routine that I have at home. I planned ahead and packed protein powder, fruit, granola bars, and watched my carb intake. I also went for a run or worked out each day! Sunday we headed back to Bozeman, only to go straight to Easter dinner, which again I was very proud of my will power with such yummy food compliments of my friend Emily. No, it wasn’t easy. No, it wasn’t as fun. Do I feel so much better, prouder, and more confident with what I’ve done? Heck yes!! If you are working towards your own goals, keep at it and focus on each day as it comes. Change will happen and your hard work will be worth it! Thursday weigh in here I come!